Forrester’s ranking follows a history of steady industry recognition for Okta. In June 2017, Gartner Inc. named Okta a Leader in its inaugural Magic Quadrant for Access Management, Worldwide. 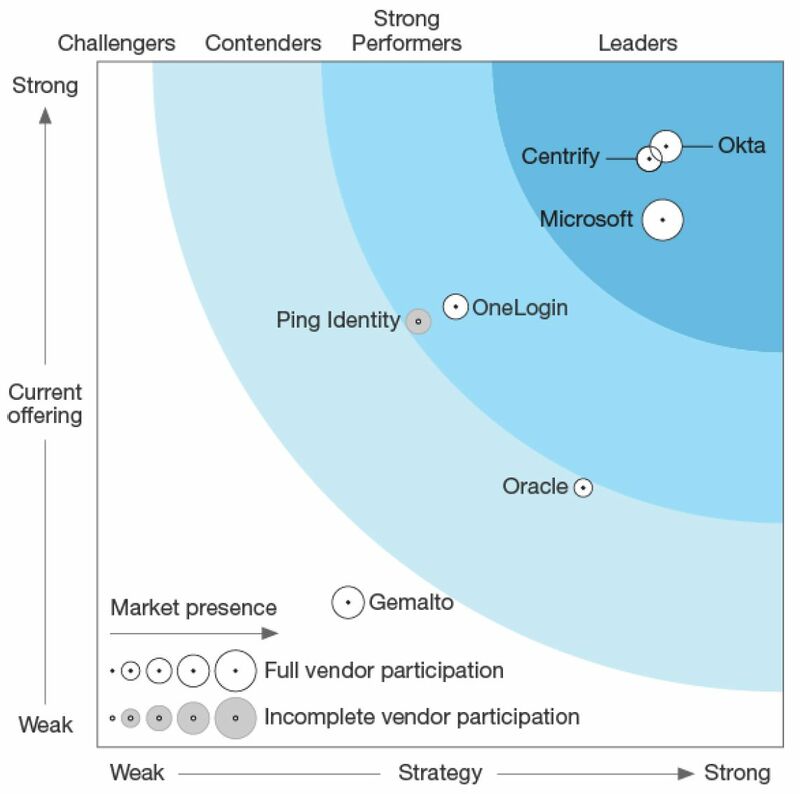 ** Okta was recognized with this placement in Gartner’s new research after maintaining its position as the only company to appear in the Leaders quadrant of Gartner’s Magic Quadrant for Identity and Access Management as a Service, Worldwide report for three consecutive years. Thousands of customers and millions of people use Okta every day. Okta’s placement as a Leader comes amid continued momentum for the company, including global expansion with new offices in Toronto and Sydney, a new Chief Security Officer, a new General Manager of EMEA, and sustained product updates and innovation. At Oktane17 in August, Okta unveiled enhancements to its Adaptive Multi-Factor Authentication and Universal Directory offerings, and introduced expanded APIs, new developer product capabilities and a new Developer Edition for customer identity. For more information, please download the full Forrester report. *The Forrester Wave™: Identity-As-A-Service, Q4 2017, Forrester Research, Inc., 17 November 2017. **Gartner, Inc., Magic Quadrant for Access Management, Worldwide, Gregg Kreizman and Anmol Singh, 7 June 2016.